The Thai king’s health is unstable, according to a statement released by the royal palace. On Sunday evening, Thailand’s royal palace released a statement that 88-year-old King Bhumibol Adulyadej’s health was in an unstable condition following hemiodialysis treatment. The Thai king is the world’s longest reigning monarch and statements by the Thai palace on his health are closely scrutinized. Though the palace’s carefully worded statement did not offer any specifics on his prognosis beyond the fact that the king’s health was uncertain, Thai citizens and observers of the country alike have been holding their breath for the royal succession, which is likely to be marred by a degree of political turbulence. Two-and-a-half-years after its latest military coup in 2014, Thailand continues to be divided over the appropriate successor to Bhumibol, who is widely revered across the country. Though open speech on the royal family is sharply proscribed under what may be the world’s strictest lèse-majesté laws, the crown prince, Maha Vajiralongkorn, who is also Bhumibol’s sole male heir, is widely unpopular. Complicating matters, the military, which, led by then-general, now-prime minister Prayuth Chan-ocha, seized power in a coup in 2014, has positioned itself as the protector of the crown and perceives Vajiralongkorn to have ties to groups associated with the former democratically elected Prime Minister Thaksin Shinawatra and his proxies inside Thailand (Thaksin currently lives in exile). Thaksin’s democratically elected sister, Yingluck, was overthrown in the 2014 coup. For now, while the Thai king’s ultimate fate remains uncertain, but the inevitability of succession has weighed heavily on Thai politics for years. Should King Bhumibol die, there’s no telling how events will proceed in Thailand. 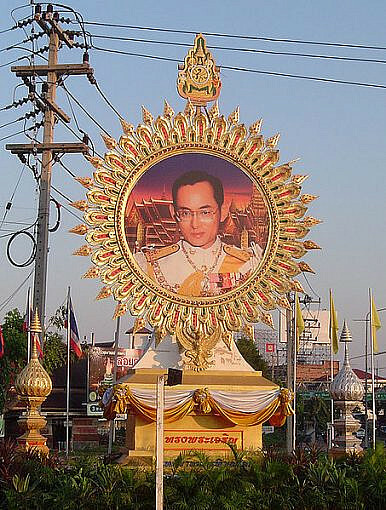 For most Thais, Bhumibol, who has reigned for 70 years, is the only monarch they’ve known. With the monarchy so central to life and politics in Thailand, a succession crisis could serve to only intensify existing fault lines in Thai politics. For more on Thai politics, listen to a podcast with Serhet Uenaldi on the 2014 coup and a more recent podcast on Thailand’s recent constitutional referendum. What role will the Royal Thai Armed Forces play in Thai politics in the future? Here are four scenarios.